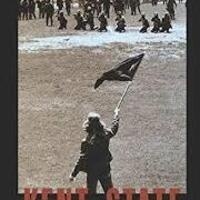 Tom Grace presents Kent State: Death and Dissent in the long Sixties (University of Massachusetts Press, 2016) Grace was a student at Kent State in 1970 when Ohio National Guard opened fire on students protesting the Vietnam War. Four students were killed and Grace was one of nine students wounded. Grace places the Kent State shootings in the tradition of activism extending back to labor battles and the civil rights struggles of the 1950s. He argues that it was not a tragic anomaly as often portrayed, but the culmination of a conflict between the forces of radicalism and repression throughout the decade of the 1960s. Tom Grace is Adjunct Professor at Erie Community College. A 1972 graduate of Kent State University, he earned a Ph.D. in History from SUNY Buffalo after many years as a social worker and union representative. Sponsored by The New School’s School of Media Studies.